Cloud Hosting Will be the Future of Web Hosting? Cloud Hosting has become increasingly popular in recent years, and there are several reasons responsible for it’s recent rise. You probably may wonder why it’s happening so and if this continues, will cloud hosting will be the future of web hosting? Simply, observe around why many big enterprises, marketing departments are preferring cloud based platforms to interact and accomplish various operations. Today hosting your business website is a lot more easier than ever before. Step back with me if you will to the mid-nineties, web hosting was only a self-service industry. A lot has changed then and the evolution of cloud platform has boosted the power of internet more than ever and thus has impacted positively in every sector of businesses, industries and organizations. In this article, you will discover why we think the cloud hosting will dominate the future. Ready? Let’s get started! Look at the flexibility, the cloud platform offers. It provides quick, efficient, high uptime and on-demand access to a number of computing resources like applications, networks, servers, etc. 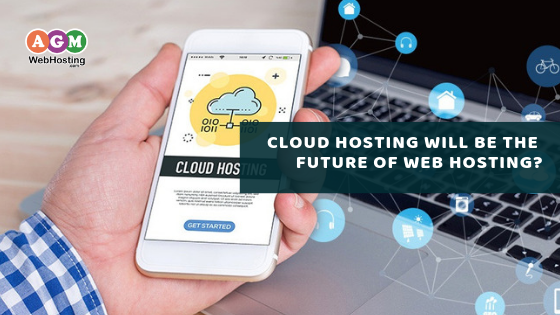 Moreover, businesses that depends on web and app hosting, and have a vision to grow will rely more on cloud hosting services and cloud computing platform. 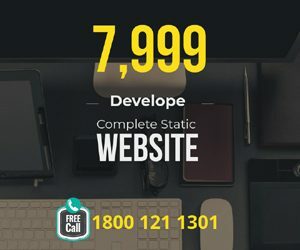 It allows users to avail the cloud service within redundant server environment meaning that your site will be virtually using the multiple server’s resources, you can simply be transferred to another server and are provided with ability to scale server resources on demand avoiding issues of your site going offline from an unexpected traffic surge. Therefore, it is certain that web hosting will no longer exist in the way that it does today and might be for the majority of websites it’s already happening too. If we contrast the simplicity of a cloud-based system like Wix(one of the cloud based platform) with self-hosted sites then the updates, maintenance and security of the shared platforms already feel archaic. Web hosting, data back-ups, security and maintenance – who cares about these things? Real business and marketing will happen only at the forefront that is assisted with smart and cloud-based platforms. Are Cloud Hosting beneficial to the data sharing world? The primary reason that the cloud hosting’s future will be as powerful and expansive as it seemed to augur extremely beneficial. Moreover, it’s superior and extreme agility and accessibility to the current technology has made it the great choice for the future. More and more organizations, individuals, businesses, various industries has greatly adopted it as no matter where someone happens to be in the world today, they can access and continue their work and share the information. What’s more, on the other hand, cloud computing is far economical as well thus allows companies to end of saving thousands of pennies by opting it. The most frequently asked question that I usually come across is how one can save big money in the IT environment and the reason is that they want to use the funds to drive innovation and deliver new applications and services instead of servicing existing infrastructure. Is Cloud Hosting’s future bright? One of the greatest senior cloud product and marketing analyst, Louis Columbus, conducting the research on future applications in cloud by various department, predicted that 47% percentage of marketing departments and 34% of enterprises will have 60% or more of their applications on a cloud platform in two years. And here we are, today everywhere we see cloud technology being preferred not only by big enterprises but also is popular among small industries and even to individuals too. Cloud hosting thus allows businesses to grow more quickly, more efficiently and at much lower costs with better flexible pricing structure. Here’s one good example to illustrate the point – In the Tel-co industry as they have huge capacity and tremendous adjacency to clients, therefore they have the ability to get the new services to the clients. Today, in most of the healthcare industry, the technology is also so adopted that they are widely used to discover the genomic patterns and to test new drugs. Cloud hosting allows you to easily scale your server resources when your traffic levels are up and down thus offering you the best value for your money. It’s very hard to get this scalability level with other form of hosting. If you’re an individual or a company who’s concerned about the environmental impact that one usually gets with traditional shared hosting solutions and thus wants to go beyond that. Cloud hosting might best fits you in those regard as you’re utilizing fewer overall datacenters; in addition it also allows you to employ required server resources too. With cloud hosting, your website will be isolated from any physical server issues that comprises of hacking, malware detection, hardware failure and system overload. Even if there is some issues you can simply make use of the physical resources of another server ensuring that you have no downtime issues. Thus, the future of cloud hosting is thus extremely bright and tech individual and organizations of any kind should begin to get on board with reliable and trusted cloud service providers to gain exclusive benefits the cloud platform offers. Cloud computing is changing businesses in many ways such as in the way of storing the data or protecting the secured information thus benefiting in every sector of the businesses and industries. Several years ago technology had started with government, where it was permeated and then went to large enterprises and later on the small business and then settled reaching the individuals. However, with the commencement of the cloud technology wave, everything become much easier at much lower cost that could have never been imagined. Additionally, what makes the cloud hosting an incredible option for individuals and corporations alike is the reliability it offers, security it provides, the performance it boasts of and the flexible cost it costs etc. Many small to medium enterprises are looking for the most innovative ways to create unique experiences within their community accomplishing business objectives. Thus, now they are also really thinking how they can leverage those wants using cloud. The cloud platform opens up a whole new platforms for designers and web developers, vendors and service providers can get on board to develop new and different approach to sell their goods, services within cloud environment, cloud hosting has become future of every businesses and corporations alike. Everywhere we go and everywhere we look, we see people using the cloud technology either to assist them in financial services, insurance or in the healthcare industry. Also, even if nobody understands the complexity within it and knows how cloud does that, they realise the ease of using it thus cloud technology has gained more importance and value among the users. As the technology allows ideas to flourish and create things that are truly revolutionary, cloud hosting has also proved to be second to none. With all the current progress of cloud computing technology, it is reasonable to expect that by the year 2030 the innovation will be deeply entrenched in both business and user activities thus flipping the economic equations. Cloud hosting has emerged as an opportunity to change the story of IT and save extravagant expenses in maintaining the existing systems. Therefore, with cloud hosting it doesn’t take as much to get started with new idea and thus more people and businesses will get benefited from it in future. Are Cloud Hosting beneficial to the data sharing world? Cloud Computing Cloud Hosting Cloud Hosting will be the future web hosting? Cloud Platforms Cloud technology Why cloud hosting will dominate the future? © 2019 AGM Web Hosting - Brand of AGMSYS Infotech Pvt. Ltd.